i finished this vacation knitting up a while ago, but had to wait for the weather to cool down (and until i found my darning needles to sew in the ends!) before we photographed. yarn: light weight vintage wool, may sport weight? 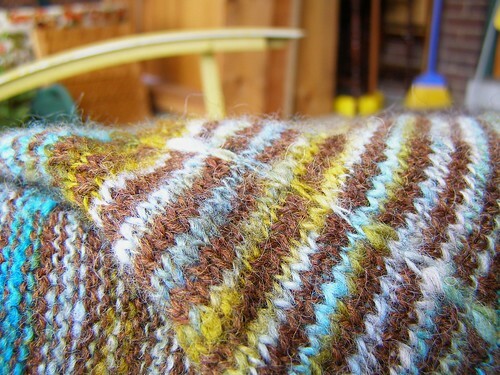 and my handspun shetland singles – seen in the handspun gallery of this fine book. totally a fun knit. 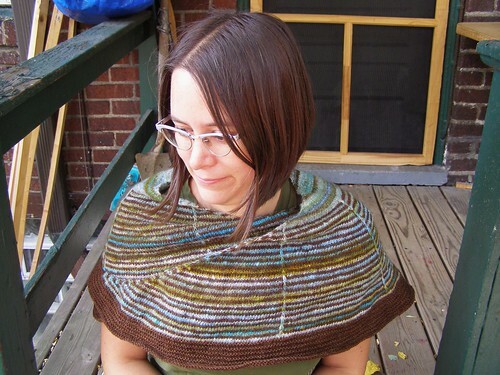 i love shawls and i’m sure i’ll get a lot of use out of this one. i am, right now, sitting in the house with a strong breeze blowing through wearing the shawl. perfect timing. it may also be time for a cup of tea. 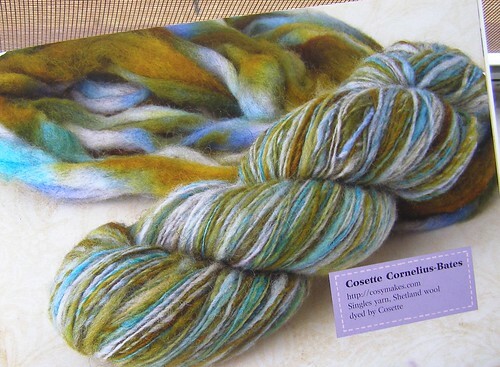 This entry was posted in cosyknitsliterally, cosyspins, handspun, knitting, shawls by cosymakes. Bookmark the permalink. it’s beautiful! and a great showcase for your yarn. 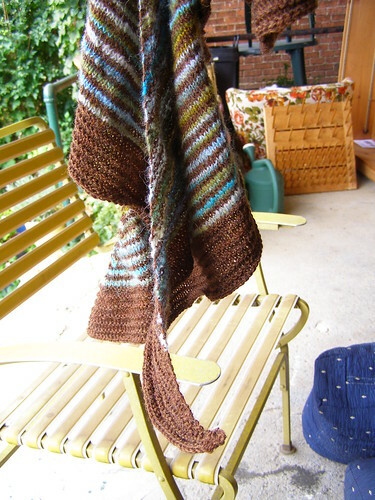 Beautiful shawl, the colors works wonderfully together. Oh, that’s lovely! Cheers for stripes! I was just thinking yesterday seemed like good tea weather too. I bought a few new flavors and I’ve been wanting to try them. Unfortunately I didn’t get home until 8 o’clock and by then I wanted ice cream instead. Anyway, those are great yarns together. weee! This may be one of my favorite things you’ve ever knitted, and that says a lot. So beautiful! It looks perfect for fall. That is so beautiful, and so flattering on you!